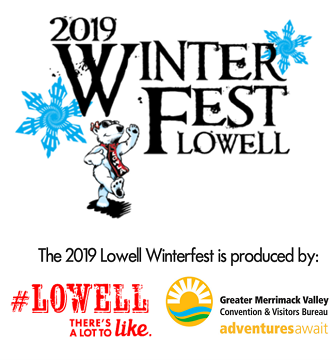 Come join the fun at the 2019 Lowell Winterfest happening February 22 and 23. Live music, a carousel, ice skating, a fire show and winter market – this year’s event has something for everyone. You can also take part in the annual soup competition or indulge in the all-you-can eat chocolate festival both happening Saturday afternoon. From adults to kids, Winterfest has got you covered! Get to the 2019 Lowell Winterfest and you will see there’s a lot to like about Lowell!